Which Direction Should You Lay Your Hardwood Planks? After finally choosing a beautiful hardwood for your new floor, you probably thought all the decisions had been made, leaving just the easy installation process. However, prior to installation, have you considered which direction the planks will be facing? Many older homes have plywood subfloors and if this is the case, you should consider laying your floor perpendicular to the floor joists for support. If you lay them parallel, you run the risk of sagging between joints which could cause the floor to collapse in places. 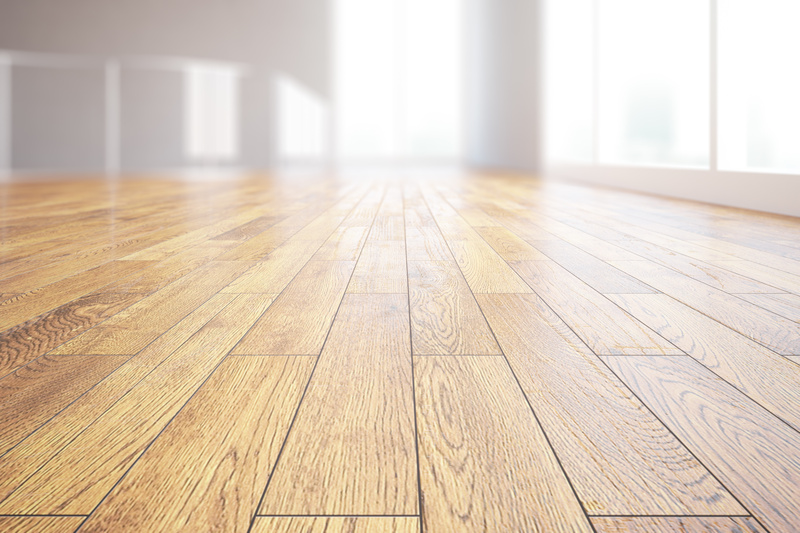 Replacing these planks could be costly and avoidable. If your subfloor is concrete, the layout of planks will not affect the structure. If you are laying your boards throughout the hallway, the best direction is perpendicular to the front door all the way through to the back of the house (think bowling alley as opposed to ladder rungs)! This will give the planks a continuous flow, opening the room up as it draws the eye in. Avoid changing direction into different rooms as this can break the natural flow. For other rooms, the general rule is to install planks parallel to the longest wall as this tends to provide the best visual result. If your room has lots of sunlight shining through, laying your hardwood in the direction of the light will help the planks look consistent. If, instead you ran the boards perpendicular, the light would emphasise individual joints, drawing attention to even the slightest variation in plank height. Installing the floor parallel to the natural light will alleviate this problem. These popular layouts are merely guidelines – direction is ultimately a personal choice depending on your room size, interior and unique style. Laying planks diagonally creates an interesting aesthetic result and works particularly well in larger spaces. You could also arrange the boards in a pattern such as chevron or herringbone, giving depth and dimension to an otherwise plain room. If you do decide on either of these options, bear in mind that you will need to buy extra wood to compensate offcuts and waste. If you have any queries about which direction you should lay your hardwood planks, contact us at Get Floors for friendly help and advice.